These girls not only sing in beautiful harmony, but just watching them is a treat. Adaptable to many situations they are chameleons that swing. As “The Holly Sisters” they bring Merry to the Holidays, as “Petticoat Express” they really show you how the West was Won, as the ever popular “DesPirate Housewives” there is No Mutiny on the Bounty and as the engaging “Starlight Sisters” they can entertain the Troops as well as the Masses. Whatever the theme, 4 Girls Only will engage the audience with their sparkling personalities as well as their amazing talent. This three to seven piece brass band plays all of the patriotic favorites including marches, military theme songs and jazz standards. They keep every toe tapping and every flag waving from start to finish. Golden harmonies that take you back to the good old days of the traveling circus, 4th of July picnics and campaign rallies. Dressed in traditional period costumes, these guys can stroll throughout your event or perform through a sound system for all to hear. 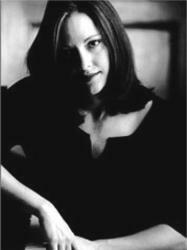 As a solo pianist and vocalist Beth covers many styles from pop music to Jazz, R&B and blues. She has worked at popular Central Florida restaurants Seasons 52 and Anaelle and Hugos’ as well as a plethora of private and public engagements around the country. 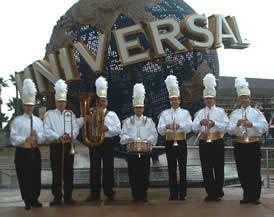 Other Orlando venues include The Ritz Carlton, Gaylord Palms Resort, J.W. Marriott, the Omni Resort at Championsgate, and House of Blues. Her performance style easily adapts to any situation from being a musical backdrop for a cocktail reception to commanding an audience’s attention and participation in a concert or party setting. Her extensive song list includes something for everyone and her affable style appeals to all age groups. 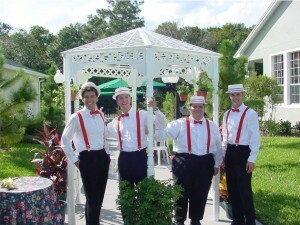 This rousing group will stroll and kick up a happy ruckus as they perform Dixieland favorites reminiscent of the good old days of years gone by. A strolling, easy maneuverable upright piano on wheels! 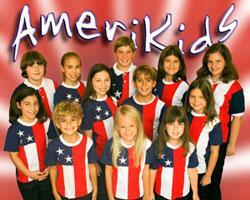 Repertoire will include popular Ragtime selections, familiar Jazz standards and International favorites. Great for any indoor or outdoor event.